At Bounce Houses R Us, We are committed to safety and service. Our Family owned business has a professional, caring, and safety trained staff. 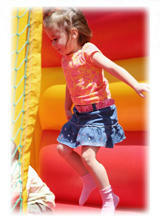 We choose only the highest quality inflatables that meet the latest safety standards. Our experienced staff will help you plan your next event by leading you in the right direction in choosing the best inflatable that matches the theme of your event. 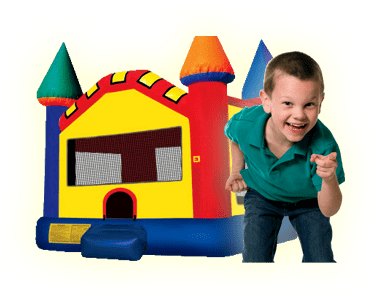 With so many Inflatable companies out there, why choose Bounce Houses R Us? Our inventory is constantly inspected for your safety and we are licensed and insured. Your satisfaction and safety is our number one priority, not just because it is our job, but because we care. We have a passion for creating fun, specialized events for all ages by bringing safe, high-quality entertainment to your next event.